Since November 2004. Ancient Wisdom meets Modern Style. Topics of interest to Cultural Creatives. Innovative ways to learn, grow, and better our world. Written by Lissa Coffey, featured on The Today Show, and in Redbook magazine and other publications. See some of the past Coffeytalk archives here. Since October 2001. Words of wisdom from great minds throughout time, and commentary about how to apply this knowledge to our modern day lives. A wonderful way to start the day. (See thank you notes and testimonials from subscribers online). Also, see some of the past Wisdom News archives here. Since August 2004. Tips for healthy living using Ayurveda and its sister sciences, Meditation, Jyotish, Vastu and Yoga. 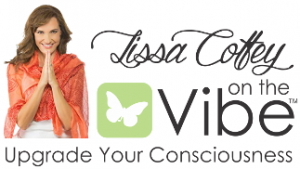 Written by Lissa Coffey, bestselling author of: “What’s Your Dosha, Baby? Discover the Vedic Way for Compatibility in Life and Love.” See past archives of Dosha News here.
" You must train your intuition - you must trust the small voice inside you which tells you exactly what to say, what to decide." Intuition is the topic this week. There's a song playing on the radio quite often these days- it's by Jewel, and it's called "Intuition." It's gotten me thinking about intuition, instinct, hunchesâ€¦ it's all the same thing. In the song, Jewel sings: "Follow your heart, your intuition, it will lead you in the right direction." Great advice- but like much great advice, do we always take it? I think we try to second guess ourselves too much. When Ingrid Bergman says we must train our intuition, I think she really means that we must train ourselves to listen to that voice, and hear what it has to say.